New Delhi: Dr Pawanindra Lal, Director Professor of Surgery at Maulana Azad Medical College ( MAMC), New Delhi, has been chosen for the prestigious Dr BC Roy award for the year 2016. 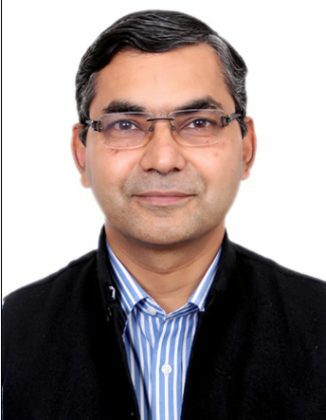 Dr Pawanindra Lal, an award winning graduate from MAMC and post graduate from UCMS, Delhi, Dr Lal joined his alma mater in 1999 after having worked as a faculty in GMC Chandigarh. Since then, he has done pioneering work in Laparoscopic surgery including Basic Laparoscopy, TEP, GERD, Colorectal surgery and is now stepping into Metabolic surgery. He has been instrumental in setting up the first Clinical Skills Centre at Maulana Azad Medical College in 2006, which is first of its kind in any medical college in the country; to impart simulated hands on skills based training to undergraduate and postgraduate students. This was awarded the FICCI Healthcare Award for Skills development in 2014. He has been also contributed in starting the 2-year FNB Programme in Minimal Access Surgery (MAS) at MAMC from 2011 under National Board of Examinations and is the Chair of the Division of MAS in MAMC. This is the only such course running in any government institution in the country. Keenly interested in teaching and research, laparoscopic surgery, Dr Lal has more than 90 publications in national and international journals and more than 200 paper presentations. He is the first Indian working in India who has contributed a chapter in the 25th & 26th Editions of Bailey & Love’s Short Practice of Surgery in 2008. He has also authored a Handbook on Critical Care and Fluid Management in 2008. He was chosen as the International Editor for the 6th Edition of Principles & Practice of Surgery, UK. He is possibly the only Indian with 5 original publications in Surgical Endoscopy, the official journal of SAGES, USA. His works are widely referenced. He is recipient of the Commonwealth Fellowship in Laparoscopic colorectal surgery at UK in 2007, Travelling fellowship of the Royal College with Sir Alfred Cuschieri in 1998 and several other awards. He was awarded FRCS England (ad hominem) in the year 2010. He has been awarded the prestigious International Guest Scholarship of the American College of Surgeons for the year 2012. Huge congrats to Dr. Lal. Proud to be a graduate from MAMC.